Find Near Me does an excellent job of finding all kinds of businesses and points of interest around you right from your wrist. You can use the app on your iPhone, which has more features. But you don’t have to pull out your phone, since the basics are covered within the Apple Watch app. Find Near Me isn’t a unique app, but it’s free and it does what you expect it to do quickly and cleanly. There is no complication for the app, but you can place it in your Dock for quick access. When you open the app on your Apple Watch you’ll see a Search option, plus a list of over 50 different types of places you might want to find. Everything from ATM to Zoo is covered. If what you want isn’t on the list or you don’t feel like scrolling through it, tap Search at the top of the list. That brings up the option to dictate your request, Scribble it, or choose from a shorter list of the most popular types of places. Tap the type of place you want to find, and Find Near Me will show you a list, sorted by distance from your current location. Tap the one you want, and you’ll get detailed information: website, phone number, address, reviews, and an arrow symbol you can tap for directions. Unfortunately, you cannot tap the website or phone number to access them directly. The only item you can tap is the arrow. Once you do so, you’ll see the option for Walk, Car, or Cycle directions. Tap the one you want and you’ll be taken to the Maps app for directions. Note that once you get to the Maps app, you can choose Transit directions, even though it’s not a given option in Find Near Me. Find Near Me is free on the App Store. There are ads in the iPhone app which can be removed with an in-app purchase of $2.99. 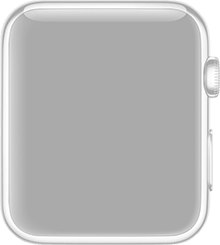 There are no ads in the Apple Watch app.